"Who Else Wants the 4-Step Hypnotic Marketing Formula Backed By 8 Years of Multi-Million Dollar Results?" That question used to drive me crazy when I was struggling trying to make my first dollar marketing on the Internet. Now that things are different, as I now pull in millions of dollars from the Internet, I often get the question, "Joe, where do you get all of your ideas and inspiration for your products and books?" This is always a tough question to answer because I often get ideas for new products, courses, and books from just about everywhere. I usually quote the famous saying, "Success leaves clues" and explain how I study successful people, successful marketing promotions, and find ways to duplicate their success in my own business. But recently, I had such a dramatic mind-shift that it nearly turned my business upside down. Within an hour of when the big ah-ha moment hit me, I found myself updating my marketing and business models for all of my products like a crazy artist working feverishly on a new masterpiece. This mind-shift was so profound that it kept me awake into the wee hours of the morning and I realized that not only did I need to change the way I do business on the Internet, but everyone else would need to in order to survive. This is going to blow you away. Now before I tell you how you can use this powerful marketing method in your own business, allow me to explain how this big idea came to me. It was a Saturday afternoon around 2:30, and I had just finished my third and final phone interview for the day for a new marketing product I have been working on. I was worn out from being on the phone for nearly six hours and knew it was time to take a break. All morning I had been staring out the window in my office. It was a beautiful day. There were no clouds in the sky and there was a cool breeze blowing that made everything feel so calm and peaceful. I headed downstairs, grabbed a bottled water, my small notebook and pen that I always carry with me where ever I go, and then headed out the door to go for a walk to clear my mind. As soon as I stepped outside into the fresh, crisp air, I took a deep breath and felt all of the built-up tension melt away. The breeze hit my face and I closed my eyes listening to the sound of the wind blowing through the trees and the birds in the distance. I allowed myself to let go, and shift my mind from "marketing-mode" into a more calming and relaxing state. I opened my eyes and proceeded down the walkway and took a sip of the ice cold water I carried with me. As soon as I reached the end of my driveway, I noticed a small patch of flowers that our landscaper must have just planted. I stopped and looked at them for a moment, and then continued to walk down the road letting my mind roam and decompress. Next Million Dollar Idea Or Promotion." As I walked, for some reason I couldn't get the flowers out of my mind. The mental picture of the flowers completely consumed my thoughts. ----> It was like they somehow hypnotized me. And before I knew it, my mind somehow connected the petals extending out from the center of the flower with how we market our businesses on the Internet. I continued to let my mind roam, almost laughing at how crazy my thoughts were. Suddenly, two other images popped into my mind. But this time, these images were different. These images were actually something that I could draw, even with my lack of artistic ability. I took out my small notebook and quickly drew these two images that were as clear as day in my mind. As I looked at what I had drawn, I asked myself, "What does this mean... what does this have to do with anything?" For the next twenty minutes, I continued to walk down the road and then it hit me. My next "Big Idea" came crashing down on me like a ton of bricks falling off a 17-story building. I increased my pace and wanted to get home as fast as I could so I could get in front of my computer. I needed to jot down my big idea and try and create a better image of what I had in mind. Although I didn't know it at that time, the small patch of flowers created an image in my mind that soon manifested itself into a dramatic marketing shift that adds a new dimension to my Hypnotic Marketing Process! By the time I got home, my mind was racing - and I felt it in my gut that I was onto something big. Really big. So big in fact that I knew that I needed to document this entire process of how this idea came to me. I ran upstairs to my office, grabbed my camera, and went back down to the edge of my driveway and snapped a couple of photos of the flowers that somehow created such a powerful stir within me. Next, I went back upstairs onto my computer and attempted to create the two images that would hopefully look a little better than my drawings. As I stared at the two images, an entire business model appeared in front of me. A business model so inspiring and masterful that I spent the rest of the evening writing the plan out. By the time I turned off my computer at 3:00 AM on Sunday, unknown to me at that time, I was at the doorstep of creating a new and revolutionary fourth step to my original Three-Step Hypnotic Marketing Formula. 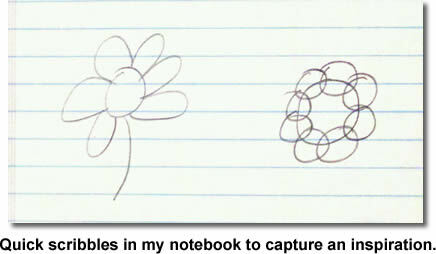 Here's how the flower, the circles I drew in my notebook, and the idea that came to me all come together. For this example, the center circle represents you and your business, and the smaller circles represent your customers. Fairly simple thus far, right? Now in order to first obtain those customers, you need to market your product or service. You could market using Google AdWords, through your newsletter, JV partners, on forums, press releases, and other traditional one-to-one marketing methods. This has been the model that we've all been using including myself, and it has worked for us over and over again. But this time, as you can see, all of the circles are interconnected. Can you spot the clue? We have moved into the Age of Engagement. Many of your customers are connected to others like never before. People are now engaged with what their friends, family, and peers are doing. "Word-of-mouth" now spreads at the speed of light compared to traveling at the speed of sound only a couple of years ago. Not too long ago, word-of-mouth was spoken from one person to the next. Yes, word-of-mouth was a powerful marketing tool, but could only travel as fast as the spoken word. However, today is different, as words can travel quickly across the Internet at speeds of light. Within just a few minutes, word about your product or service can spread to thousands and thousands of people because of Social Media. Are you starting to see the big picture here? Many of your customers are highly connected because of Social Media. Your marketing reach is now 10,000 times longer and wider than ever before. So what all of this comes down to is that there are new marketing opportunities and strategies that you need to start taking advantage of right now. Just like the information in my previous best-selling Hypnotic Marketing ebook, the opportunities and strategies within Social Media are not some fly-by-night ideas. "Hypnotic Marketing Is Proven, Timeless, and It's Made People A Lot Of Money." I quietly created a new marketing strategy and named it Guaranteed Outcome Marketing (GOM). Once I had the strategy perfected, I contacted several of my previous marketing clients to see if any of them would be interested in implementing a new marketing strategy. Although I had several responses, I took on three clients who hired me to create a GOM Strategy for their business. Each client paid me $25,000 up front and the results they had were staggering. I decided to put my entire GOM Strategy into a course. Instead of selling a full course, I decided to put it into bite-sized segments and send them through email over a period of a few months, which allowed me to provide step-by-step instructions and action items. This became known as the "Three-Step Hypnotic Marketing Formula". Within a few days, all 12 spots were filled and the students paid me $2,500 each. And to ensure my methods would not be shared with the world, I had each student sign confidentiality agreements. After a lot of thought and consideration, I decided to take this strategy and combine it with others which I called, "Hypnotic Marketing Strategies" and began writing a book called, "Hypnotic Marketing". 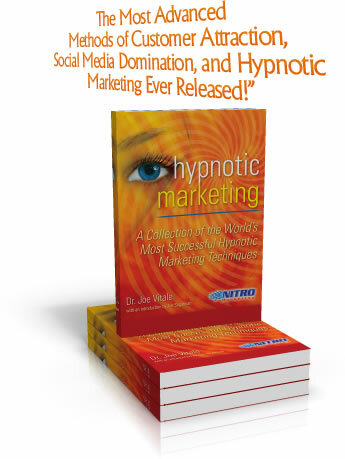 HypnoticMarketing.com launched and thousands upon thousands of copies of the Hypnotic Marketing ebook were sold. I pulled the HypnoticMarketing.com website down and the ebook off the market. I had too many irons in the fire and had no plans of offering this ebook to the public ever again as a stand-alone product. After telling them no (no less than 6 times) the guys at Nitro Marketing (who handle parts of my business) finally get me to agree to allow the Hypnotic Marketing ebook back on the market. However, I agree to do it for only one week and then it must be closed forever. I was shocked to say the least when 5,233 orders came in. I saw the flower, got a big idea, and went to work. I decided that it made the most sense to package all of the new 2.0 information with the original best-selling Hypnotic Marketing ebook. This is the first major update to the three-step Hypnotic Marketing process in nine years! Hint: The information that I have to share is so powerful, the Hypnotic Marketing process is now FOUR-STEPS. 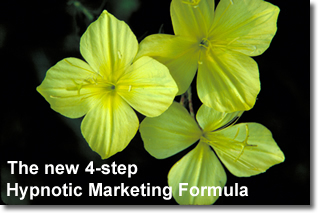 I emailed Nitro Marketing telling them that I had an idea so big that I've decided to re-release Hypnotic Marketing PLUS I've added a brand new fourth-step to my Hypnotic Marketing process. As you can see by the above time-line, the Three-Step Hypnotic Marketing Formula has been around for 11 years. It's proven. It's timeless. And it's made many people like you a lot of money. Greatest Marketing One-Two Punch In History!" For those of you who don't know, Social Media allows the non-techie's, like many of us, to easily post content onto websites. Another term that you may be familiar with is, "Web 2.0". Unless you've been on vacation on an island resort with no Internet access for the last two years, I'm sure you know of some of the larger Social Media websites like: Facebook, Twitter, YouTube, Blogs like WordPress, Digg, Technorati, and so on. The opportunity for you to market your business using Social Media is immense - and best of all, it's free. However, when I looked at many of these websites after my big idea hit me, I found mostly poor attempts at actually marketing a product or service. Not to mention even less attempts using any form of Hypnotic Marketing. The viral marketing home runs are few and far between. And it seems that somehow in the hustle and bustle and excitement of Social Media, most people are completely missing the mark. Very few videos on YouTube are Hypnotically compelling. Very few MySpace pages Hypnotically draw people to you. Very few blog posts have headlines that are Hypnotically written to drive highly targeted and qualified traffic to your blog. Very few profiles on FaceBook use Hypnotic Marketing to attract new friends or business contacts. Very few replies on blog posts are Hypnotically written to instantly excite and drive readers to your website. Very few people have figured it out. Imagine your inbox filled with hungry leads or cash-in-pocket sales for your business on an hourly basis 24-7. Imagine never having to scratch your head wondering where your next customer is going to come from. Imagine having the nearly sixth-sense ability to know exactly where your customers are, and the exact words to type to have them quickly order your product or service. This may sound far-fetched, but I can assure you, this incredible power can be created within your business. And it all starts here. Believe me, I know it's such a noisy world out there today. There's so much clutter and information on how to market your website on the Internet today that the term, "information overload" has become more relevant than ever before. At times like this, you need to go back to the basics and concentrate on what has proven to work time and time again. And what's proven to work over and over again? Hypnotic Marketing. Hypnotic Marketing 2.0 is packed with all of the information that the original Hypnotic Marketing ebook previously had. Why? Because it's timeless. The methods have and will always work. But this time... for the first time ever, there's more. Formula has been updated with never-before-seen information on Hypnotic Social Media Marketing. Leading Expert On Social Media." For those of you who know me, you know that when I want to learn something, I do everything I can to find the leading expert on the subject to interview. Once I saw a gaping hole in Social Media when it came to Hypnotic Marketing, I immediately sought an expert on Social Media to interview. I wanted to find someone who was an expert that I could extract all of the secrets and hidden gems about Social Media Marketing from. And I did... and you've most likely never heard of her. In fact, this Social Media genius is so underground she doesn't even have a website. And she prefers it that way. If word got out about everything she knows, she'd be inundated by nearly every Internet Marketer out there trying to get information from her. In fact, she's so quiet about her knowledge that I actually did some work with her in the past that produced incredible results for me. At the time I just thought she was magic and had no clue that she was a Web 2.0 genius. She didn't even tell me who she really was. As the saying goes, when the student is ready, the teacher appears. Little did I know that our paths would cross again, and that my teacher was someone who I thought I already knew through a friend. I actually thought she was just a web programmer. Come to find out, I was wrong. Very wrong. I'm Forced To Call, Miss. W."
Although you'll learn of her name after you purchase my special offer today, I am under strict instructions not to make her name public here. She's a leading expert on many Social Media sites such as Digg, Mixx, Reddit, StumbleUpon, FaceBook, and countless others. Miss W.'s clients have included Planet Hollywood, E! Entertainment, Coca Cola, the government of Argentina, ABC News, and other various businesses and Fortune 500 companies. Miss W. is the real deal. She is very protective of her secret, very well-paid life as a Social Media genius. My first contact with her was through the referral of a friend. I gave her a short article that took me just a few minutes to put together. The next thing I knew I had more than 20,000 brand new visitors to my website. I didn't know it at the time, but it was all because of Social Media and what this genius did that made my website traffic explode beyond belief. So when I sent an email out to my friends letting them know that I was seeking the leading expert on Social Media Marketing, I was blown away when I was yet again referred to this Miss W.
And to be honest with you, being blown away is an understatement when trying to explain how my interview with Miss W. went. Social Media Marketing is huge. Realize that there really is a new trend. This is not a fad. This is not something that is going to go away. It's here, it's here to stay, and it's getting even better. Any businesses right now that jump on this and participate in this web 2.0 social media world are going to benefit immensely from it. Social web is all about conversations with people, and you can have no better advocate than your customers." She shared more information then I could have ever asked for. She has taken Hypnotic Marketing to a whole new level. Social Media Web 2.0 Expert"
Learn the surprising answer to my question, "What are the most popular social sites, and why and how should I use them for my business?" Exposed! I knew Miss W. didn't want to "become known" in the Marketing world, but I asked her if it would be OK for people to contact her if they need help anyway. Miss W. actually gives in and shares where you can find her! "Exclusive Bonus From Miss W."
Mega "I can't believe she did this for me" Bonus: You'll not only get to learn all of the above and more, but you'll also have access to a 14-page document providing you with every link, every site, every resource, and everything you need. This was written by Miss. W., it's not available anywhere else, and is something that I use DAILY - I know you will too! Now if the Hypnotic Marketing 2.0 package only included the information that I was able to get out of Miss. W., this would be well worth the price of admission alone. Chapter 6: Show Your Bra! Chapter 18: The Amazing Breakthrough Formula Called "E-DR Publicity"
Chapter 19: A New Way to Get 30 times More Replies from the Media! Chapter 21: Two Words that Can Get You on Virtually Any Radio or TV show (And a Secret Way to Even Get on Oprah)! Brand New Bonus Added For Hypnotic Marketing 2.0! Many of you asked for it, now you've got it! If you're anything like me, it's a lot easier to learn when you see actual case studies. I've listened to my customers and spent a great deal of time compiling incredible Hypnotic Publicity case studies. I'm including these into your Hypnotic Marketing 2.0 package. Plus you'll get over an hour of audio training on Hypnotic Publicity to go along with it - and I've even included the written transcript of the audio training! "Earned $12,865 In One Day With Just One Idea"
"Do what 'Hypnotic Marketing' says and you will get rich! It's simply brilliant! 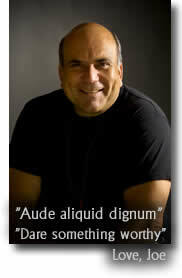 I learn something that increases my bottom line profits every time I read Joe Vitale. 'Hypnotic Marketing' is an ENCYCLOPEDIA of specific laser beam strategies of how to market your business NOW. Trust me. I know. The last time I used just ONE of Joe Vitale's ideas in a marketing plan I earned $12,865 in one DAY! (That's just one idea! )" Chapter 27: What Are the Hardest-Hitting Direct-Selling Websites Online? Brand New Bonus Added For Hypnotic Marketing 2.0! Because I want to make sure you really "get it", I've taken the time to really dig in and dissect five websites and explain what really makes them Hypnotic. You'll have immediate access to the website links, audio training, and a written transcript of my audio. This is the first and only time that this bonus is available in Hypnotic Marketing. And it's yours today when you order Hypnotic Marketing 2.0.
of their secrets in one fell swoop"
"I finished reading 'Hypnotic Marketing' last night and I just have one question: Pardon my French, Joe, but *^%$# @#@#*, do you have ANY secrets left? I have never seen anybody reveal as many of their secrets in one fell swoop as you did in this book. The only way you could put money in your readers' pockets any faster is if you wrote them a check yourself! My favorite chapter is number 29 on Gold Mine.net. The before and after illustration is dramatic to say the least. Your revised copy is awesome, but when you compare it against the original it is even more so. Also, I really liked your muscle test section. It's a new and fascinating idea. Maybe you'll start a new trend with this one!" Chapter 36: "How Can the Right Question Bring in 317% More Orders?" Chapter 40: What are Five Ways to Get People to Open Your E-mail? Brand New Bonus Added For Hypnotic Marketing 2.0! Awhile back, I was asked to sift through every single email that I've sent over the past 10 years and pull out the 10 most Hypnotic emails that I've ever sent. It took me forever and a day to find them, as you could imagine. In this bonus training, I'll provide you with copies of each of these 10 emails, an hour-long audio where I dissect each email and explain why each one is so Hypnotic, and I'll also provide you with a written transcript of my audio. This is a powerful package - and is the first time that it's made available with the Hypnotic Marketing Formula. 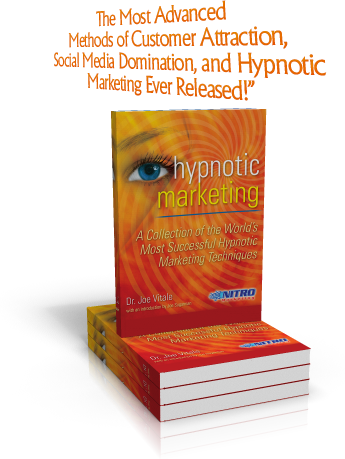 "Immediately Adds Tens of Thousands of Dollars to My Business"
"Without a doubt, Joe Vitale's 'Hypnotic Marketing' is a 'MUST READ'. Joe leaves everyone else in the dust as he moves light years away from the old hum-drum methods of marketing. And he does it in such a simple way. 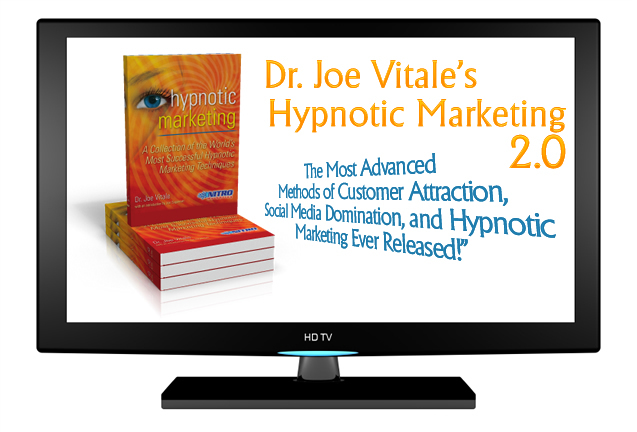 When I tend to forget the important lessons in marketing, I reach for Joe's 'Hypnotic Marketing,' which immediately adds tens of thousands of dollars of value to my business. Every chapter is worth hundreds of times the price of this fantastically practical publication. Thanks, Joe, for making this information available to us. If there's a Nobel Prize for producing the most useful information about marketing, you should definitely receive it." "It's Like Selling Fort Knox At A Discount"
"Joe, you've written a masterpiece. Condensing the formula for getting rich in only 79 days into three simple steps anyone can follow is brilliant! As with everything you write, 'Hypnotic Marketing' is crammed full of true-to-life, straight forward ways to start a welcome flow of cash into anyone's bank account. We all thank you for making this gem available. But, come on, Joe...that price. You've got to be kidding! Why would you give away so much for so little? It's like selling Fort Knox at a discount!" "I Learned Something New On Every Page"
"Joe Vitale hypnotized me today! He did it with 'Hypnotic Marketing,' which I found impossible to stop reading. I learned something new on every page, and I've been learning about marketing since l958. Now, I can only shudder for those poor souls who haven't yet learned what Joe has to teach. 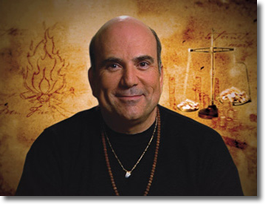 Not only does he enlighten, but he does it in such a warm and engaging way, that you cannot help but complete his book with a smile in your heart and dollar signs on your mind. 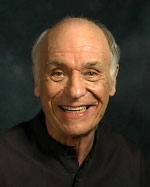 Thank you, Joe, for a mighty contribution to the world of marketing." 1. E-DR Publicity: Traditional publicity is ego-driven. You get your name in the paper or mentioned on television. So what? It rarely leads to sales. My E-DR Publicity is "direct response" publicity - it gets people to do something. Almost no one alive today knows how to create this form of publicity. I do. However, in this training I talk about one man who got laid off and with no money started a new business that got national attention -- and is now making him rich. You can do this, too. And you can implement E-DR Publicity for as little as a hundred bucks -- and sometimes for no cost at all. 2. 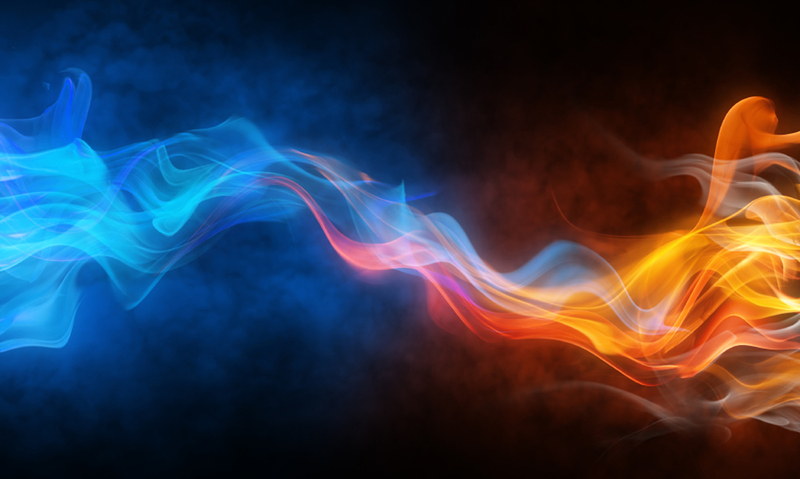 Response Websites: There are two kinds of websites that work: Information driven and direct sales driven. In Hypnotic Marketing 2.0, I reveal websites that make money, and show you how to create your own based on little-known principles. It's actually easy... once you know the secrets. 3. Hypnotic E-mail: Legendary marketer Jay Abraham and I once talked about email being the great undiscovered and truly underused marketing tool of this new century. I've sent out emails that pulled in $21,500 in a few days. In this section, you'll see the actual emails I sent, as well as those from others who have made big bucks using email. As long as you have an email account, you can do this. The cost is nothing. The return can be staggering. Just Added! 4. Hypnotic Social Media Marketing: After seeing the flower that somehow got my mind spinning on Social Media Marketing, which then lead me to my conversation with Miss W., which now leads me to adding a fourth step in my Hypnotic Marketing Formula... this has really been quite a ride! But the ride has been nothing compared to what Social Media Marketing is doing for me and other people who understand how to add a Hypnotic Marketing spin to their Social Media Marketing. How else could you drive 10,000 visitors... 20,000 visitors... 100,000 visitors... even 1,000,000 visitors or more to your site in a matter of hours... with zero dollars out of your pocket! 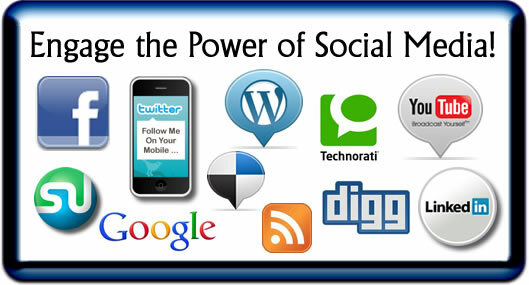 Social Media Marketing is becoming one of the leading marketing methods today. Everyone, including most Fortune 1000 companies, are using it to find new customers, get known, make more money, and have more fun. Why not you? "I Give It An A+"
"If you can't pull a $50,000 idea out of this e-book you'd better put a mirror to your face and see if it fogs ups. 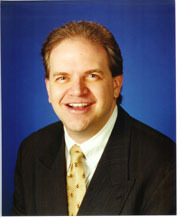 Joe pounds and blitzes you with one incredible idea, story and example after another. My brain was on overload! I give it an A+." As I've mentioned, only a tiny percentage of marketers are using Hypnotic Marketing methods in their Social Media marketing. This marketing opportunity is wide open. I cannot stress that enough unless I jumped out of your computer screen. By combining what you'll learn from Miss. W. with the information found in my massive Hypnotic Marketing ebook, you're well on your way to becoming a Social Media Marketing Rock Star! "Here's How To Secure Your Copy Of Hypnotic Marketing 2.0 Right Now!" Because this package is brand new and includes never before released information on Social Media Marketing. When you place your order right now, you'll have immediate access to Hypnotic Marketing 2.0 plus all of the bonuses, downloads, and audios. Today you can download everything for just $39. Now you may be wondering why I'm willing to offer this entire package to you today for just $39, when the real-world value between Hypnotic Marketing 2.0 and all of the bonuses is obviously much more than $39. I'm going to be totally honest with you. I want friends. Thousands and thousands of new friends within the next week. You see, I am doing everything I can to boost several of my profiles on several Social Networking websites. And all that I ask from you is that after you download your Hypnotic Marketing 2.0 package today, you add me as a friend on your Social Networking websites. You get a great deal on Hypnotic Marketing 2.0 and I get you as a friend. It's win-win for both of us. Sound like a deal? Great! Let's move forward. Yes, Joe! I'm more than ready to get my hands on the brand new Hypnotic Marketing 2.0 as soon as possible for only $39! 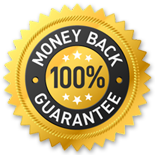 Nitro Marketing's "Hypnotic Marketing 2.0 Shortcuts"
If for any reason I am not completely satisfied, I will receive a prompt 100% refund of the full purchase price. I've already seen what this information has done for my business. And I've seen what happens to others when they combine Social Media Marketing with Hypnotic Marketing. Now look. I know for a fact, 100% no questions about it, not even a second thought, that this information is powerful and Social Media Marketing works. And when you use Hypnotic Marketing in your Social Media Marketing, it's like pouring a gallon of rocket fuel onto a lit match. If for any reason whatsoever you feel that the information in Hypnotic Marketing 2.0 wasn't worth at least 10 times the $39 you paid, I'll gladly refund you the full $39. No questions asked. And you can even have a full 365-days to try all of the strategies you'll learn in all of your materials. "Worth At Least 10 Times The Price Of The Book Itself"
"Awesome! Joe's new book lays out a complete, navigable road map for the marketing novice and veteran alike. You'll find loads of valuable information and specific techniques here. Plus, there are several gems in this book -- like the 5 ways to get people to open an email, and the 5 ways to start a killer email sales letter -- that is each worth at least 10 times the price of the book itself. Unless you are a billionaire whose only problem is that you have too much money, you need this book!" You have absolutely nothing to risk because I'm taking all of the risk offering such a bold guarantee. I truly believe with all of my heart that Hypnotic Marketing 2.0 will make such a large and dramatic impact on your business. Really. See for yourself! Thank you so much for your order today and I can't wait to see what you've created with your Hypnotic Social Media Marketing! P.S... How much money can you make with the inside secrets you'll learn in Hypnotic Marketing 2.0? Frankly, I don't know what you're capable of. I'm offering you a hammer and more nails than you could ever imagine. You can build a dog house or a massive castle. It's up to you. Why not just try Hypnotic Marketing 2.0, claim all the free bonuses, and see for yourself what is possible? Wouldn't that be the wisest choice?